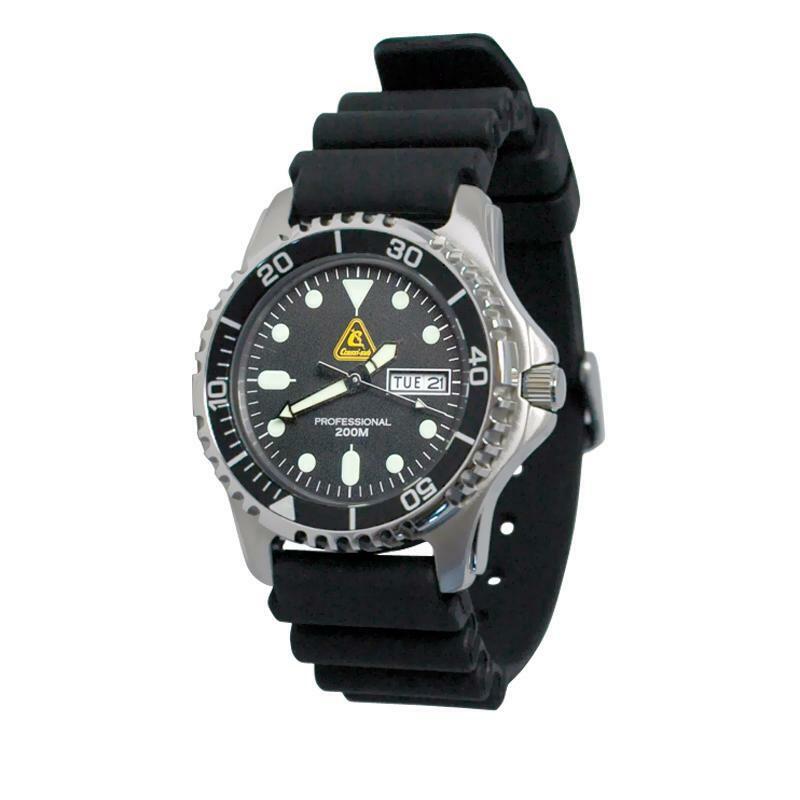 This 200m depth rated watch is a quality time piece. Battery operated, with a one way bezel and screw down crown, 316 stainless steel body, quality Seiko movement and high quality optical scratch resistant glass. The watch comes with a robust PU strap and is suitable for a variety of watersports or just as a stylish waterproof watch for normal use.